With nearly one-third of today’s U.S. children overweight, many parents are searching for ways to encourage their kids to make healthier food choices. While eating from home seems more practical given the current economy, you may still want to take your kids out to eat from time to time. Unfortunately, the kids menus at many of America’s popular casual dining restaurants remain a minefield of corn dogs, fried chicken tenders, and cheeseburgers, all of which are enormously high in calories, fat, and sodium. Although many restaurants are making progress by offering healthier side items (steamed vegetables and fresh fruit, for example), many of the entrees are still nutritionally challenged. The thought of navigating through this minefield to order a healthy meal for their children can leave some parents feeling daunted. So, what’s a mom (or dad) to do? Souplantation & Sweet Tomatoes: Okay, we admit we cheated a bit here. This establishment doesn’t have a separate kids menu, but it is family-friendly, offering a vast and colorful menu of salads, soups, pasta, and bakery items kids love. The menu varies daily and seasonally and includes a wide variety of healthy items, including vegetarian and vegan options. Chili’s Grill and Bar: While Chili’s still serves up fat- and sodium-laden items (the Pepper PalsÒ Little Chicken Crispers has 39 grams of fat and 1,610 mg of sodium), they also offer a few healthier options, especially their side items which include black beans, mandarin oranges, corn on the cob (hold the butter), and seasonal veggies. Olive Garden: This popular Italian spot has several kid-pleasing entrees including cheese ravioli, grilled chicken and broccoli, and spaghetti with tomato sauce. Stay away from the cheese and alfredo sauces. Bob Evans: This is another establishment offering lots of fruit and veggie side dishes. 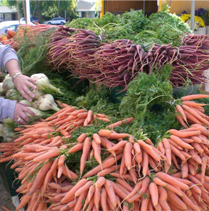 Just beware of the corn and glazed carrots; they contain unhealthy trans- fats. IHOP: Mostly known for their breakfast foods, IHOP also offers grilled tilapia, steamed broccoli, and fresh fruit on their kids menu. Macaroni Grill: Kids can enjoy a tasty entrée and dessert at this establishment. The beef kabob and fresh broccoli finished off with a bowl of vanilla gelato with strawberries adds up to only 260 calories, 10 grams of fat and 125 mg of sodium. Claim Jumper Restaurants: While the entrees included on the Little Jumper’s Menu are your typical fatty fare (ribs, chicken nuggets, and mac ‘n’ cheese) the abundance of healthy side items, including roasted vegetables, apples and caramel sauce, frozen grapes, salad, applesauce, and carrots and celery with dip, makes it possible to salvage a healthy meal for your child. Red Lobster: Broiled fish, grilled chicken, and popcorn shrimp are good choices here. The snow crab legs are low in calories and fat but high in sodium (940 mg). *Menus were chosen based on their overall calorie, fat, and sodium content and variety of options available. Nutritional information was obtained from the restaurants’ websites. Restaurant websites without nutritional information for their kids’ menus posted at the time of review were not included. Sometimes only skimming the menu is not enough to weed out the less healthy options. While some seemingly healthier foods are not high in calories, the amount of sodium may be astronomical! For example, at Ted’s Montana Grill, the Kid’s Salmon Meal seems like a good choice (high in protein and healthy omega three fats), but it has 4,123 mg of sodium per serving (over twice the recommended maximum sodium intake for a child 4-8 years old). 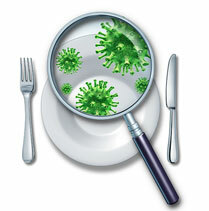 Many restaurants have their nutrition information online. Check out the kids menus and the nutrition information of your favorite establishments before heading out to eat. This will give you an idea of the healthier options and help you guide your child towards making a healthier choice once seated at the table. In general, the grilled items tend to be healthier, including grilled chicken and grilled sirloin. However, there may be hidden sodium in these items. Request that the cook hold or limit the salt. Don’t forget about the empty calories in those specialty kids’ drinks! Milk and water are better beverage options. Ask the server for ice water with a fresh fruit garnish for some colorful flair and a hint of sweetness. Select healthier sides such as fruit or fresh vegetables rather than high-fat French fries or tater tots. Many restaurants are offering steamed broccoli as a choice. Just remember to ask the waiter to hold the butter and salt! Not all salads are created equal. Avoid ordering salads topped with fried meats, and ask for the dressing on the side. If available, choose a lighter dressing option. Go easy on the cheese and croutons! If the kids menu is infested with fried foods, try ordering something lighter for yourself from the adult menu and ask for an extra plate for your child. Sharing your entrée not only gives your child a healthier option, but it makes your portion smaller with fewer calories too! Despite all these recommendations, try not to be too restrictive with your child’s diet. It’s perfectly okay to let your child indulge every once in a while. Research shows that kids of parents who are over-restrictive with their diets grow up to be less healthy adults. True or False. Steamed veggies are always a good side item choice. False. Some restaurants add fat and salt to these items. Check the nutrition information on the restaurant’s website or ask the server how it is prepared. Request that the cook hold or limit the butter and salt. True or False. 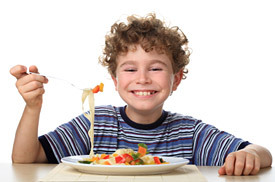 Parents should strictly monitor their child’s intake to be sure their child is eating healthy 100% of the time. False. Many children whose parents were overly strict with their food intake suffer from health problems, including obesity, later in life. 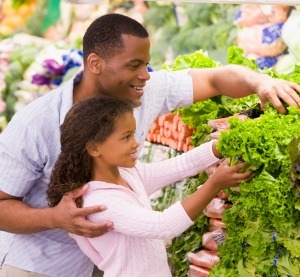 Parents have an obligation to teach their child to have a healthy relationship with food and their bodies. This means teaching children to make healthier choices most of the time, but allow for enjoyment of food and the occasional treat. Dawn is a registered and licensed dietitian in Statesboro, Georgia. She is mainly interested in women's, adolescent, and children's health and nutrition. She also has an affinity for sports nutrition, cultural influences on food choices and its effect on health, and general health and wellness issues.